Provided photo Area resident Dan Arnold takes on the “Ring Jump” in the Cleveland Qualifiers for popular television program “American Ninja Warrior.” Arnold qualified to compete in the Cleveland Finals, which will air later this summer. 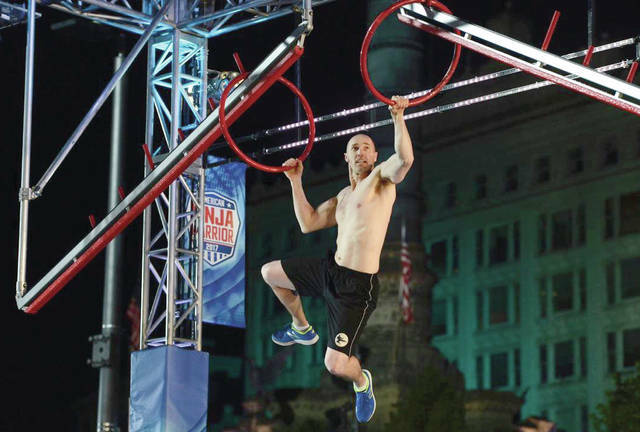 TIPP CITY — One local man has been training hard on his home obstacle course, hoping to one day compete on “American Ninja Warrior.” In May, his hard work paid off. Miami County resident Dan Arnold qualified for the NBC show’s Cleveland Finals at a taping in May in Downtown Cleveland’s Public Square. He was one of more than 100 hopefuls competing for a spot in the finals. While he did not appear in the episode that aired last week — the episode only featured a handful of the competitors — he finished in the top 30 and qualified for the final Cleveland round. The Cleveland Finals have already been taped, although Arnold cannot reveal how he placed or if he will go on to the national competition in Las Vegas before that episode airs in August. The popular TV show, now in its ninth season, follows competitors as they push themselves to take on a series of difficult obstacle courses, first in city qualifiers and finals, and then on to an even more challenging course in the national finals. The winning ninja warrior takes home $1 million. Arnold, a long time fan of “American Ninja Warrior,” was also motivated to compete by the desire to challenge his older brother Brian Arnold, who is a regular competitor on the show. “I’m very competitive and I grew up with five brothers and one sister. So pretty much whatever anyone can do, I can do better, is the mentality of us siblings,” he said. Arnold said moving on to the Cleveland Finals was a step in the right direction towards proving that he can compete on the show. Arnold, a nursing home administrator, said he’s been more or less training for the challenge his whole life. First as an active kid with six siblings who could turn just about anything into an obstacle course, and then as a fan of the show who built his own course at home. His house in the Carriage Trails subdivision — probably one of the most popular in the neighborhood, he admits — is outfitted with an obstacle course of his own design. Arnold and his wife Rebekah, inspired by all of the ninja parties they threw at home, turned obstacle courses into a side business, Ninja Obstacle Parties. Arnold said he trained a lot on his basement course, which also extends into the backyard and features an adjustable climbing wall, with several of his friends three times a week. “It’s a whole variety of things, because they test your balance, your hand strength,” he said. “We work out to stay in shape and we have fun working on various different obstacles that I’ve built at my house. Some of the elements of his home course are modeled after the show and some are his own invention, Arnold said. But nothing compares to actually being a part of the show, Arnold said. The Cleveland Qualifiers added two obstacles new to the famously tough course: the Razor’s Edge and the I-Beam Gap. The Razor’s Edge tested the competitor’s balance and speed, while the I-Beam Gap required them to climb a beam upside down before jumping leaping across a gap to the next beam. The I-Beam Gap gave a lot of competitors, including Arnold, trouble that night. Instead of just having a viewing party of the episode on July 10, the Arnolds opted to open their house to anyone who wanted to try out the obstacle course last weekend. About 250 people showed up to the free event, he said. When the Cleveland Finals episode airs later this summer, they may host another open house, Arnold said. Stay up to date on Arnold’s progress on the show by visiting www.facebook.com/ninjaobstacleparties.com.  https://www.weeklyrecordherald.com/wp-content/uploads/sites/51/2017/07/web1_7340.jpegProvided photo Area resident Dan Arnold takes on the “Ring Jump” in the Cleveland Qualifiers for popular television program “American Ninja Warrior.” Arnold qualified to compete in the Cleveland Finals, which will air later this summer.